During the Department of Science and Technology's (DOST) launch of the Imake.WeMake competition in 2016, many young Filipinos showcased their creativity and skills in developing inventions that can help address some of the country's societal problems. The competition proved effective in encouraging young Filipinos across the country to use their aptitude in science and technology in devising creative solutions in food safety, health, education, and security and disaster mitigation. This year, DOST partnered with local ICT giant, Acer Philippines, to host the derby's sophomore run using its Internet-of-Things toolkit, Acer CloudProfessor. “Equipped with the CloudProfessor, young Filipinos can now easily apply programming in their innovative solutions. Coding can be a challenge for young innovators that all it takes is one wrong character for your code not to run. 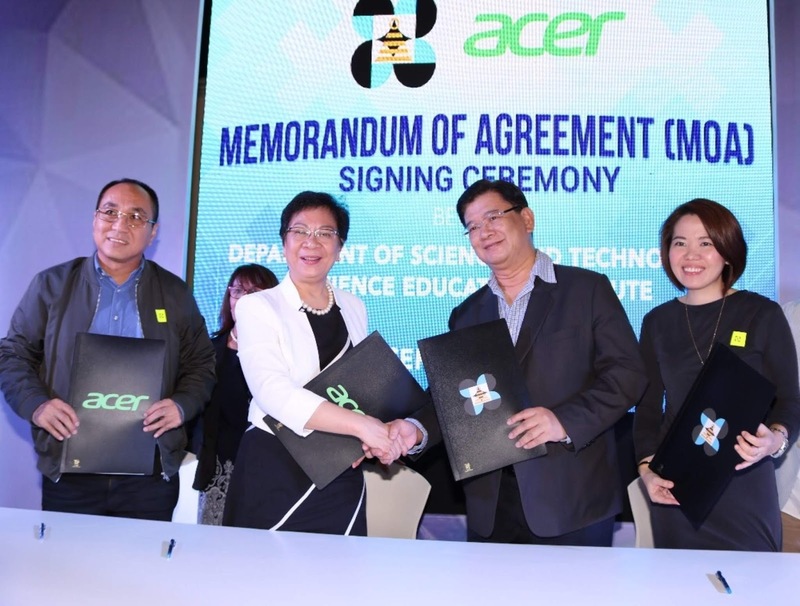 Acer CloudProfessor helps students with the wide selection of built-in codes that can easily be adapted in their creation,” said Acer Philippines Managing Director Manuel Wong. In last year’s competition, student participants from high schools in Makati, Bataan, and Leyte emerged as the top teams, having developed a power generator to reduce energy consumption in school, a traffic surveillance system to detect vehicles' distance from pedestrian lanes, and water level sensors to detect rising flood waters. A team from Pitogo High School- Makati, developed “Project IRIS” or an Intercepting Relayed Imaging System which is an automatic surveillance system that can detect cars that step inside the pedestrian lane. Bataan’s representatives from Limay National High School developed “Project Maxima: Hydropower Generator”, which can provide their school with an extra clean source of energy. Lastly, inspired by learnings from super-typhoon Yolanda, Philippine Science High School-Eastern Visayas Campus made a Water Rise Alert System equipped with a water level sensor, a radio frequency transmission unit, alarms, a raindrop detector, lights for danger signaling, and solar panels for recharging. “With last year’s remarkable entries, the bar is definitely set higher now with the inclusion of Acer’s CloudProfessor. Since coding will be supported by the all-in-one toolkit, we are expecting more impactful inventions to grab our attention.” Biyo added. Teams of 3 students can submit their prototype proposals of inventions or solutions in food safety, education, health, security and disaster mitigation using the CloudProfessor as the main platform. Qualifying teams will be given technical training and workshop on CloudProfessor to help in developing their prototypes. After training, the teams will present their final output and three of the most outstanding works will receive prizes and awards. Imake.WeMake was initiated to unleash the creativity of young Filipinos and to discover their potentials in using technology. This year, DOST’s partnership with the tech giant Acer Philippines further empowers the students to take their education beyond the walls of their classrooms and participate in a competition that can produce advanced tools to solve real-life challenges.